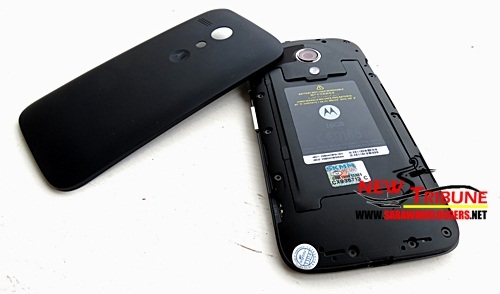 Motorola G (Moto G) is Motorola Mobility’s second phone since the company was bought by Google Inc. 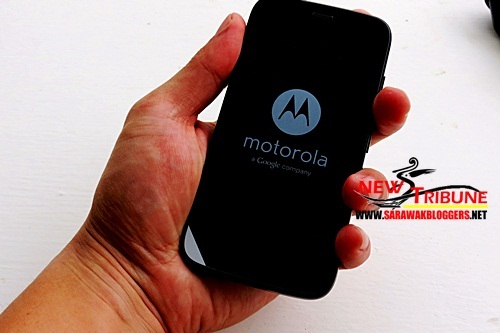 It may also be the last smartphone produced by Motorola under Google since the Motorola Mobility was sold off to Lenovo a week ago. Today, we got hold of this mid-range phone, and was immediately impressed by how it was designed and how fast it could work with a perfect ‘pure Android’ experience. We know there are tonnes of other reviews out there which are technical, so we would keep this one simple and easy, focusing on three things which concern smartphone users nowadays namely the camera, the sound, and the battery. The rest such as the looks and feel of the Moto G are subjective, but we will also touch a little on that, including the operating system, which is Android 4.3. You can’t complain much when you are feasted with ‘Pure Android’ experience because it has all the basics needed to make a phone work perfectly, minus the huge memory loss due to unnecessary beautification works. The operating system was flawless, smooth and worthy of its 1GB RAM although users will experience lags when they decide to use too many applications at one time, or when the internal memory is near capacity. Regardless, the ‘pure-android’ experience is unrivaled and the confirmation that Moto G would be obtaining the latest Android 4.4.2 (Kit Kat) once released, assures those looking for speed and simplicity a good bargain, with the need to ‘root’ their phone already non-existant. Beauty is subjective, but we love what Google has done to Moto G. Despite difficulties removing it’s changeable back cover, the phone itself reflects modernity and sleekness despite its pricing (RM760). 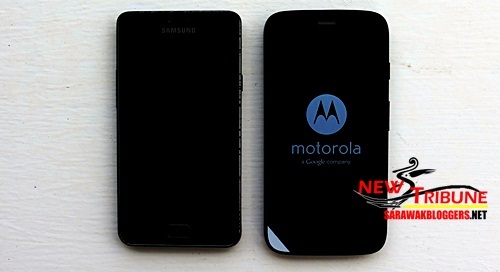 Users of the Moto G would be thrilled that their mid-range, mid-price Moto G thumps most high-end smart phones which offer plenty of plastic despite it’s higher pricing. 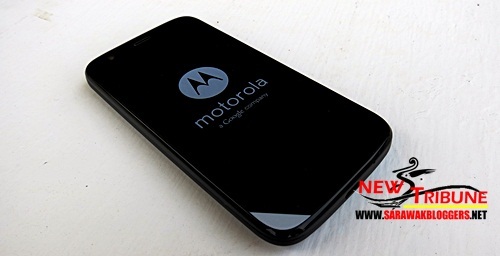 One feature we loved most was the matte back cover which was nicely curved to give Moto G users great confidence when holding the phone in their palm, and the ‘dual-sim’ ability of the phone which gives everyone with multiple phone an option to have less phones to carry around. Nowadays, 5-megapixels ain’t much to shout about in a smartphone because most smartphones nowadays come with exaggerated pixel rates. However, it is our belief that pixels are not important unless you are thinking of producing large photographs, which makes this 5-megapixels camera just perfect for simple photo taking, and uploading onto your favourite social media site such as Facebook, Instagram and Twitter. Despite that, of course the quality of the image produced by Moto G is important, particularly the rear camera, and hence why we present to you the three shots below under different circumstances. To be really honest, we were impressed with what we got under all three lightings, and we can’t really complaint much. The photos taken using the Moto G 5-megapixels camera looked natural, sharp and clear, even with flash usage. Snapping photos are also a breeze with the autofocus camera working wonders in making your shots precise. The front camera however is largely standard with only 1.3-megapixels to show off. Under poor lighting, the image produced is very poor, and this is widely expected from most phones. 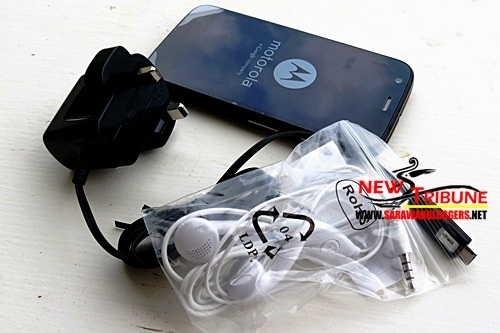 Moto G comes with loudspeakers and a 3.5mm jack which fits your earpiece nicely. The sound produced through the loudspeaker isn’t bad, and is adequate enough to entertain you on any trip. We would however suggest investing in better earphones if you wanted better quality sound. The non-removable Li-Ion 2070 mAh battery when tested with usual talk time and frequent, or heavy social media usage lasted for over 20 hours. We believe this is above average considering most smartphones only last for over 8 hours on such usage. While the extensive battery life of the Moto G gets huge thumbs up from us, a little knowledge from the instuction guide gave us more reason to love this phone (as seen in the photo below). Now, not all smartphones have this feature, and the fact that Moto G has it, makes sure that your battery last longer than any other smartphone in the market! While we are loving the Moto G, the fact that Google does not own Motorola Mobility anymore concerns us as situations involving warranty claims and repairs of the smartphone would be a huge question mark with Motorola’s new owner, Lenovo, uncertain of willing to take up the warranty of a product made by Google. We love Moto G for what it provides, but the uncertainty surrounding its warranty and customer service is something we are concerned about. Nonetheless, if you are looking for a phone which is less than RM1,000, and you are willing to risk having warranty claims, this is the phone for you.